It's been raining nonstop since last night that's why I used my spare time to do something productive. 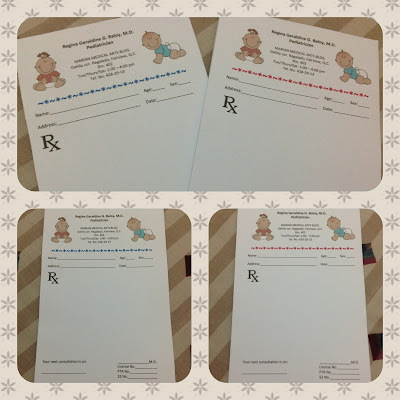 I ran out of prescription pads so I decided to make new ones and look how they turned out. For orders or more inquiries please leave a comment below or email me at docretch@gmail.com. Hi there! I could have sworn I've been to your blog before but after browsing through some of the articles I realized it's new to me.